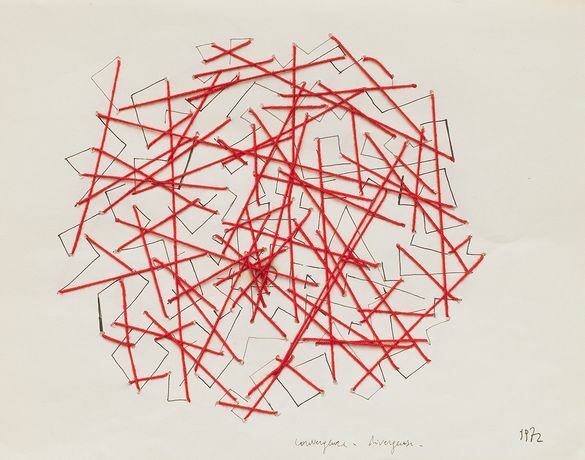 Repetto Gallery in London will exhibit more than 20 artworks by Nedda Guidi, Elisabetta Gut, Maria Lai and Franca Sonnino curated by Paolo Cortese. The thread – traditionally linked to the female world – becomes in this exhibition the union trait between these artists, that all worked in Rome between the 70s and the 80s. 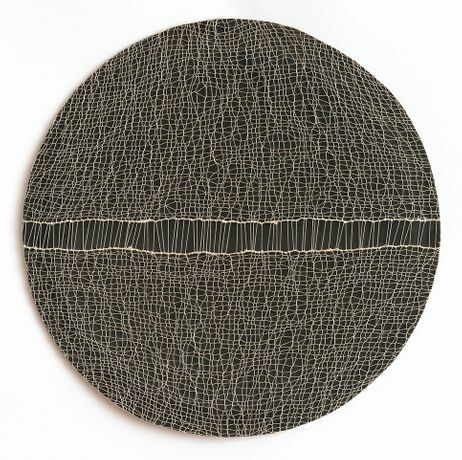 Nedda Guidi uses thread in two-dimensional works to reach the third dimension, that is inherent to sculpture. In the papers from the 70s, as in the big ceramic panels from the same years, the sculptor explores the multiple intersections between surfaces and their relation with the shadow. 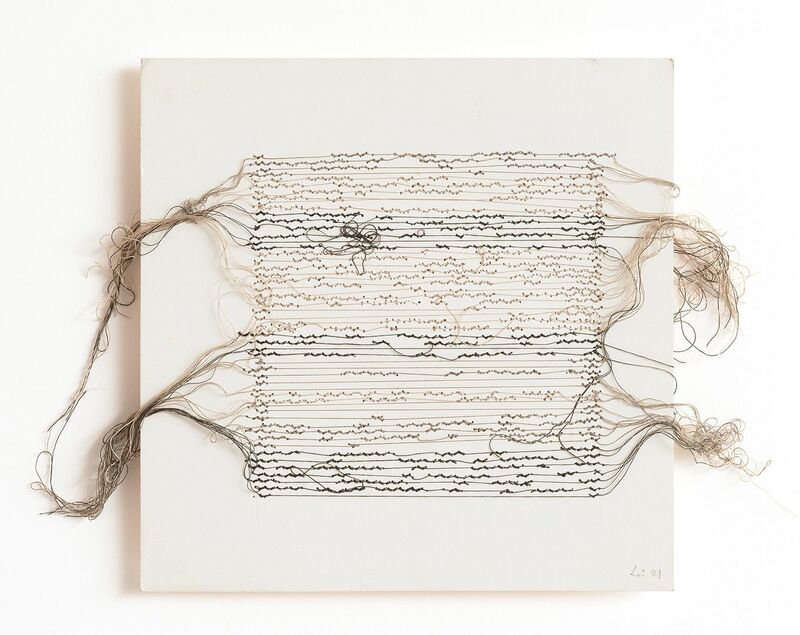 Elisabetta Gut had already used thread as embroidery in her big white canvases in the 60s, as if she wanted to sew up the cuts on the surface. Her later work has more intimate and minimalistic quality. Thread here is an instrument to tie and put in a cage musical writings, packages and pages of poetry, in order to protect them. 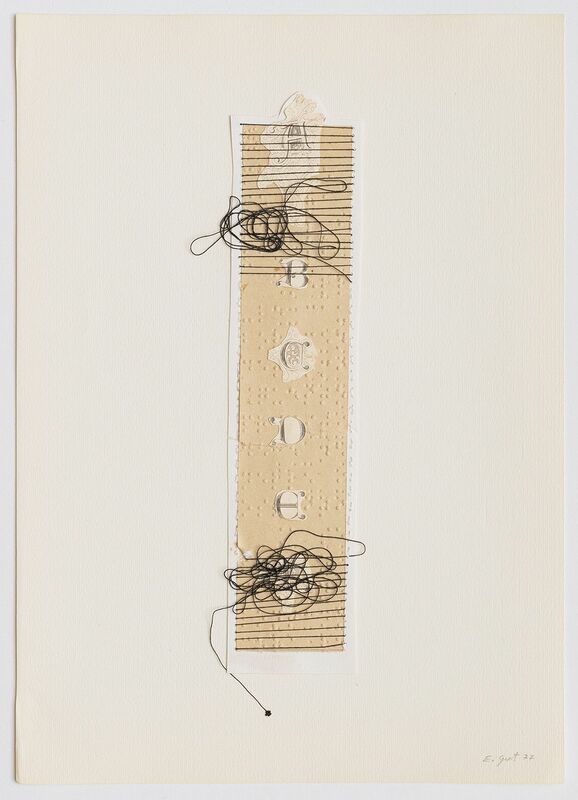 For Maria Lai, thread has been since the 60s the most important medium of her works, as a symbol of dialogue, narration and of the transition between orality and literacy. 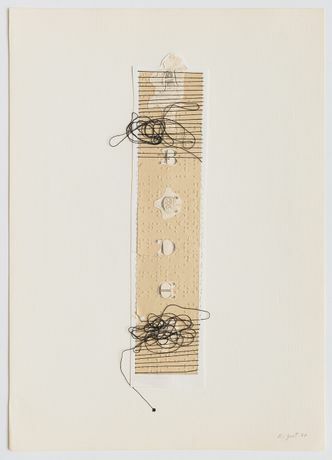 The 70s are years of experimentation for her, when she uses thread to write letters that, after having been photocopied, will then be object of further minimalistic intervention. The exhibition will show her books from the 70s, that witness her research of the interaction between verbal and visual. Alongside this conceptual research, the artist has always carried out a more intimate and poetic dimension that is well represented by some of the works in the exhibition. Franca Sonnino started her career in the early 70s, painting thick grids, a multitude of lines that cross each other as weaves; soon, however, the thread will free itself from the object dimension and will become the very manufacturer of her works. From the end of the 70s, Sonnino will use the thread to boldly draw seas, fields, skyscrapers, books and bookcases. The Roman artist crosses weaves and empties them from the inside to draw books with her thread. Her books, as opposed to the ones by Maria Lai, are still empty and still waiting to be written, or maybe are beyond the present and already eternal.